Do you have English learners that keep making the same mistakes week after week? If so, then sending personalized audio can help your students overcome these mistakes and internalize correct English. This works for pronunciation and grammar errors, and it can also help them remember new vocabulary. I explain all in this video and the post below. I send sentences based on what we go through in the lesson and the mistakes my learner makes (grammar, pronunciation etc.). When mistakes are made, I write corrected sentences into the chat box. This allows me to easily record audio after the lesson, and additionally, I prefer correcting learners at a specific time instead of interrupting them while they are speaking. What you decide to record depends on many factors, but I suggest that you try to keep things as relevant to your learner as you can. I prefer to use Audacity, but there are many other programs that allow you to record audio. When recording the audio, you might want to extend the recording so that your student can listen to the sentence and repeat it out loud without having to pause the individual tracks. I did this in the video above. I use both Dropbox and Google Drive (GD) to share the audio with my learners. And like I mentioned in the video, using a desktop client for these programs makes uploading the audio much easier. Alternatively, you can open dropbox/GD and drag the files into the relevant folder. Some learners will listen every morning, while others will forget to do it. 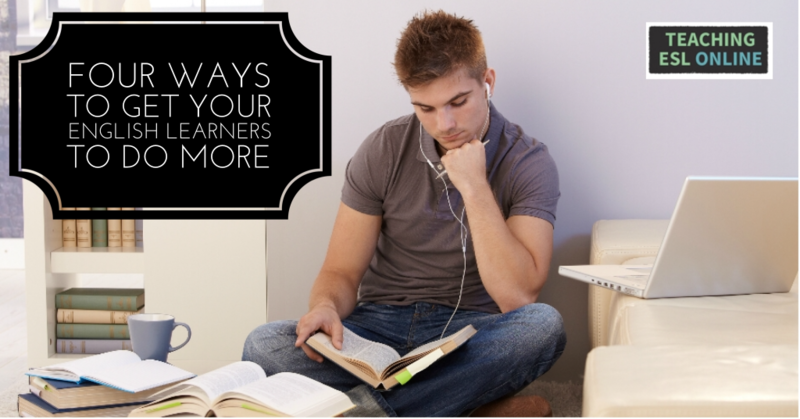 This post will help you if your learner is reluctant to do work outside of class. I like to review the sentences in the following lesson and beyond. I do this by asking the same or similar questions. And I think it’s important to view this as a long-term solution, especially for ingrained errors (one of my students took a LONG time before she started saying “people are” instead of “people is”). 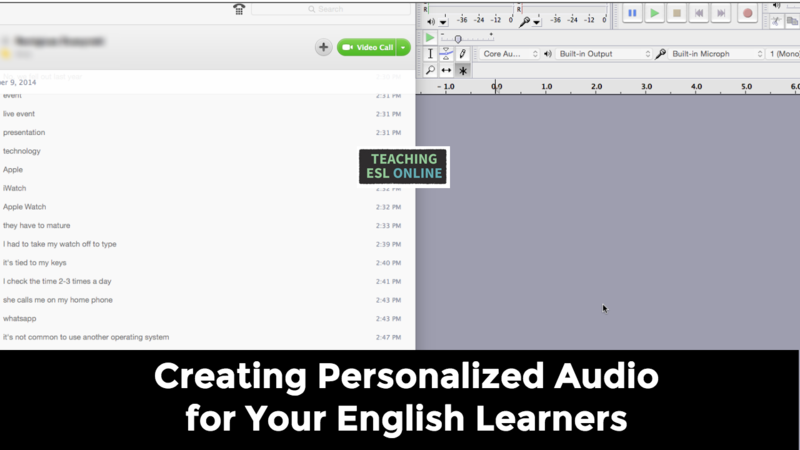 If you are teaching in a language school and work with groups, then you can still create personalized audio; it just won’t be as personalized. For example, let’s say you’ve done a class on the present perfect, and you spot some mistakes made by one or more of your students. 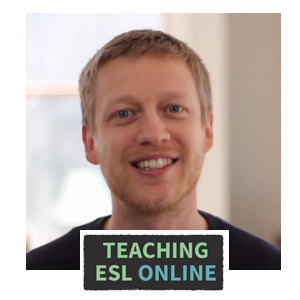 You can create audio for everyone in the class – they download this at home – based on the present perfect and the mistakes that your students make. I have found this method to help my learners create correct sentences in English and to overcome errors that a simple correction won’t fix. And once you have the system down, it should only take you five-ten minutes to record the audio and send it your student. Please let me know if you have any questions or thoughts about this. * Spaced repetition software helps you create digital flashcards (with or without audio) and review them according to an algorithm that you set. What would you do if Facebook deleted your group with over 120,000 English learners? 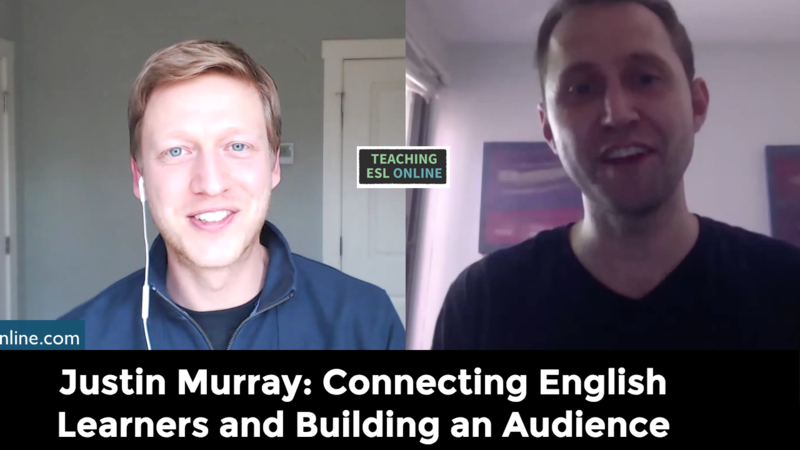 That happened to Real Life English (RLE), and one of the co-founders, Justin, joins Teaching ESL Online to share this story, and to give us an insight into how the RLE team built a very popular site for English learners. RLE got started with a party in Belo Horizonte, Brazil. Justin, and his cofounder Chad, wanted to teach English in a way that would help people to live it. And after they saw how popular the parties were, they decided to start a blog. We then talked about the Facebook group that they built to over 120,000 members. But out of nowhere, their group was deleted. This is why it’s so important to build your own blog/website and email list. We then talked mored about Facebook, specifically organic reach (how many of your followers see your content when you post). Justin then went through the difference between a Facebook page (business page) and a Facebook group. Justin’s former cofounder started their Twitter account and employed different tactics to grow their following (currently at 70k), using tools such as Tweepi. They also use Hootsuite to schedule their tweets. They have a free ebook for learners and this has helped them grow their following. Focusing on email marketing has been a big part of their strategy from the start. Justin and the team spend most of their time interacting with learners through email, and prioritize this over social media. We moved on to talk about the different products they have sold. They have offered an audio version of the ebook mentioned before, a course called Fluency Plus, and a product that goes with their podcast. I’ve seen one of the podcast lessons, and it’s incredible how detailed and in-depth they are. The RLE team are now in Chile in a startup incubator. They are shifting their mindset to try and understand what learners really need, and to build a business around this. And the problem that they are trying to solve is to help learners connect with others and use their English in a way that feels real. You can learn more about Justin and Real Life English here. What was your biggest takeaway from this interview? One of the biggest frustrations of teaching English is when your learners don’t do anything outside of class. When a learner starts taking lessons, they say the right things and seem motivated. But this initial enthusiasm usually disappears after a few weeks. I feel that as teachers, part of our job is to inspire our learners to do more, and to think about how we can help our learners to stay consistent over the long-term. This is something that I’ve put a lot of emphasis on over recent years. In fact, I even have a course for English learners helping them specifically with this. And in this post, I want to share four ways that will help your learners to consistently do more outside of class. Please note: This is specific to teachers who teach one-to-one online, but the following can be adapted for traditional group lessons too. I believe it all starts with a conversation and a plan. I believe one of the biggest reasons why intermediate speakers don’t become advanced speakers is because they don’t comprehend exactly what it takes to reach this level. Taking two lessons a week and then doing nothing else will mean little progress. It takes much more than that to achieve a higher level of English. You can approach this by doing two thing: Firstly, ask your learner what level they want to have and when they want to reach this level. For example, you might have a learner who has a B1 level. And after talking about their goals, they say that they want to have a C1 level by this time next year. This is definitely achievable, but they will most likely have to make some changes and do more. Therefore, the second thing to do is to come up with a daily learning schedule and general plan to ensure they reach their goal. Additionally, helping your learner get into the habit of using English on a daily basis will make a big difference. One thing to bear in mind is that you need to make this sustainable and fun. If you ask your learner to do too much too soon, they will most likely feel overwhelmed and lose motivation. They need to get into the habit of learning – and enjoy what they are doing – to keep this up over the long-term. Making things relevant to your learner is incredibly important if they are going to do more outside of class. A small percentage of English learners will keep up with grammar exercises and course books over the long-term; the majority need to do something that really interests them. One way to do this is to have your learners send you things that they have enjoyed reading or watching in English. One of my students was really interested in personal development. He read a lot of articles in his native language on this topic, so I encouraged him to learn about this in English instead. We found a bunch of blogs and videos together, and he sent me articles that he enjoyed on a regular basis. I then created a lesson plan around what he sent, something that after doing a few times, didn’t take me too long to do. Additionally, I encourage my learners to subscribe to YouTube channels and blogs that interest them. Getting this regular email with a link to an article/video in English gives them a reminder to do something in English. And because this is something that they enjoy, the motivation to read/watch something is stronger. Mark Barnes gave me the idea to this during our interview. In a nutshell: you let your learner decide on a long-term project and you then collaborate on this together. I did this with one of my learners last year; he wrote a book on a topic that he was interested in, and we used Google Drive so that I could correct his English and give feedback. Using this approach gives your learner more authority over what they do, and again, because they decide what it is they want to create (a project, a video, a book, a presentation etc. ), and in the area of their choosing, they are doing something that is relevant to them. And something that they are excited about doing. 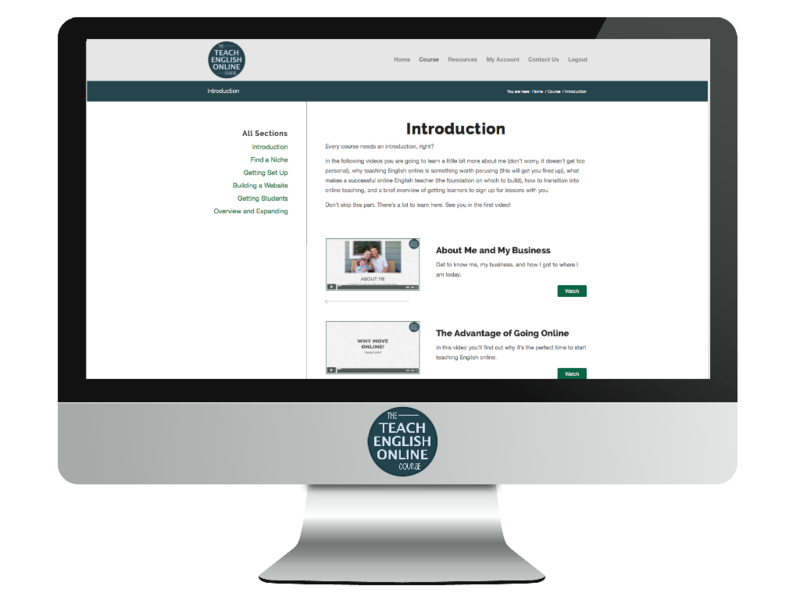 One of the benefits of teaching online is that you can connect with your learners in different ways; using email, social media, Google Drive, for example. This means that you can send reminders about your lessons and keep the communication flowing with your learners outside of class. You don’t have to spend a lot of time on communicating with your learner. A simple Tweet or email a couple of times a week will only take you a few minutes. And what this does is shows your learner that you care and that you are invested in their learning, and it will also send them a small reminder to do something in English. If you want to make this more involved, like a daily email or support, then you can make this an added extra on top of the lessons that you offer. But I’ve found that the more I communicate with a learner, the more they ultimately end up doing. And this is especially true with learners who need direction with their learning. Setting expectations, coming up with a plan, doing things that interest your learners, giving your learner more authority over their learning, and keeping the communication flowing will help your student do more in English. What tips do you have to encourage your learners to do more outside of class?